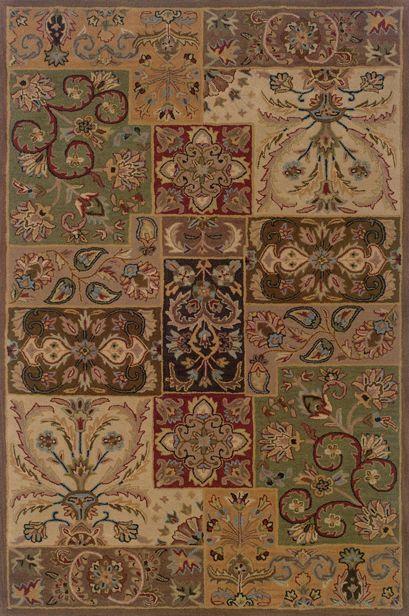 The WINDSOR 8X10 Hand-Tufted Rug by Oriental Weavers at Miskelly Furniture in the Jackson, Pearl, Madison, Ridgeland, Flowood Mississippi area. Product availability may vary. Contact us for the most current availability on this product. Featuring traditional styles and sophisticated transitional motifs, the Windsor collection offers luxury at a remarkable value. Available in an assortment of sizes and distinctive colors, this collection offers a wide selection of refined and elegant looks to beautifully upgrade the aesthetics of special living spaces. The WINDSOR collection is a great option if you are looking for Rugs in the Jackson, Pearl, Madison, Ridgeland, Flowood Mississippi area. Browse other items in the WINDSOR collection from Miskelly Furniture in the Jackson, Pearl, Madison, Ridgeland, Flowood Mississippi area.